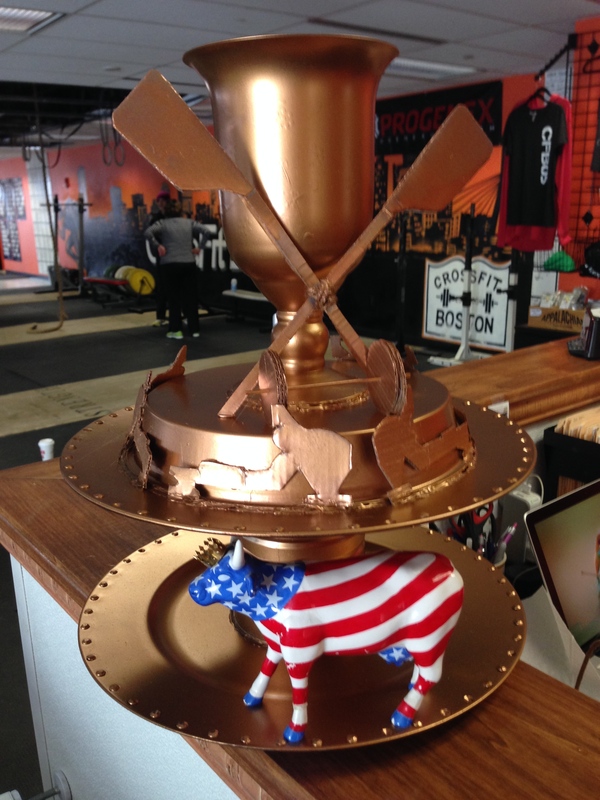 The Renegade Rowing Cup is ready! Are you? Register for Saturday’s race here! In today’s Rowing WOD really focus on good connection and suspension with the legs. In this workout you will perform the work as follows: complete 12 calories on the erg, then 12 box jumps, then 12 push ups, then 11 calories, 11 box jumps, 11 push ups, … and so on. Coming off the push ups your arms may be feeling it so work for efficiency and power with the legs on the erg. Also, be sure to strive for virtuosity and complete each rep of the box jumps and push ups according to the standards of performance. For box jumps you’re hips must be fully open above the box and for push ups your chest must touch the ground. For maximum fun grab a partner and have a High Noon Showdown! Who can make it to 1 first? 3-2-1 Go! 14:51 Great one Coach! Loved it and hated it all at the same time! Just like I feel about you. Lol. Haha good to hear Larry! Hope you guys have a Merry Christmas!